The British Motorcyclists Federation’s (BMF) automotive engineering expert Ted Foreman provides useful information for those unsure about exactly what this EU-wide regulation means. Ted certainly gives a a fresh insight into this often misunderstood subject, with a sane and responsible article! 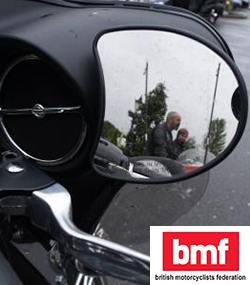 As the BMF ask, Why do we need Type Approval and how does it affect the everyday motorcycle rider? BMF: What Is Type Approval? TF: Type approval – or, to give it its full correct name: European Whole Vehicle Type Approval – is a system whereby a manufacturer of a motorcycle can obtain approval for his machine which then allows them to sell it in every member state of the European Union (EU). So you can see that European Whole Vehicle Type Approval goes to the heart of the EU or common market as it used to be referred to. You will see that I have referred to this process by its full title, namely European Whole Vehicle Type Approval, because as with all things the clue to understanding it all is in the title. European: Because the process applies to the whole of the EU. Whole Vehicle: Because the approval covers the machine in its entirety, and therefore there can be no separate individual country requirements which act as a barrier to trade, for example no member state within the EU can insist on different braking requirements. Type Approval: Because we are approving a type of machine, this means that the manufacturer has to simply obtain the approval for the type of machine, and they are then able to manufacture and sell unlimited quantities without the need to re-approve or submit each individual machine for approval. What Are The Rules Governing Type Approval? 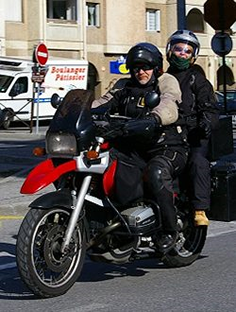 All the rules governing European Whole vehicle Motorcycle Type Approval are laid out in something called The Framework, currently Directive 2002/24EC. Sometimes this piece of legislation is called the ‘mother regulation’. 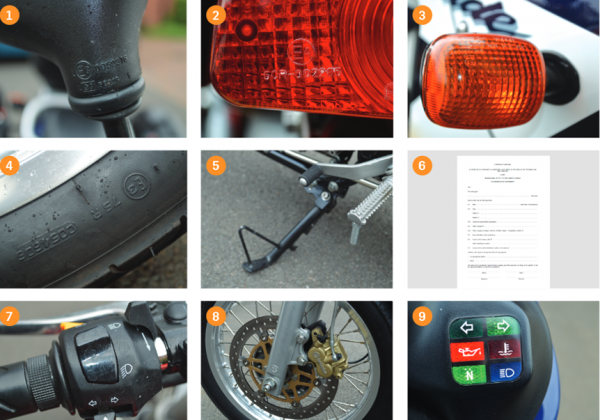 In simple terms the Framework Directive lays down all the requirements and rules to be followed when Type approving a Motorcycle; similar ones exist for every other type of vehicle. Now, 2002/24EC seems like a complex title but really the meaning is simple: 2004 because the Directive was introduced in 2002 and 24 because it was the 24th piece of legislation introduced by the EU that year, put 2002/25EC the next one up into Google and you will see that it deals with safety rules and standards for passenger ships! Regulation (EU) 168/2013 which will introduce some new items including new Euro 4/5 emissions requirements, new sound level limits, requirements for advanced braking systems for some categories of vehicles (ABS), anti-tampering measures, and access to information requirements including repair information. What Subjects Are Covered By European Whole Vehicle Type Approval? There are 47 subjects but all of them may not apply depending upon the category of machine to be approved, a summary is shown opposite. How Is A Machine Type Approved? The best way to understand the process of Type Approval is to look at the building blocks that make up a machine. Let’s take rear vision from the list above we see it is item 5, because it is the Machine we are testing for Type approval, it needs to achieve a standard of rear vision, this is defined within the directive 97/24EC and is quite basic, but it is made up of two distinct parts. Firstly the requirements the mirror must achieve in terms of optical performance, this is referred to as its component approval, these are the e marks seen on motorcycle mirrors, in many cases mirrors can also be marked with a capital E this represents an equivalent standard for the mirror component approval. Picture 1 shows the component approval markings on a BMW rear view mirror. At this stage all we know is that the rear view mirror meets the component approval standard. This tells us nothing of the rear view the rider is able to achieve from a seating position on the machine, and so within Directive 97/24EC there are requirements which detail the performance the rear view mirrors must achieve. This is sometimes called the ‘System’ approval and it is this which gets the ‘Tick in the box’ to add to the overall European Whole Vehicle Type Approval. European Whole Vehicle Approval is made up of a series of system approvals which must be achieved before Whole Vehicle is granted and the machine can be sold within the EU. Lighting components including rear reflectors must meet their own individual performance standard BUT they have to be installed correctly to the correct dimensions to achieve the required system performance when fitted to a machine. Typically this will mean that the lights are separated from each other by the correct dimension to prevent one light ‘bleeding’ out the other, for example direction indicators and position lamps. Another example is that lamps must be mounted in such a way to achieve the correct angles of visibility as defined in the legislation. Picture 2 shows rear light approval and picture 3 shows front direction indicator approval. Another area covered by component approval is tyre installation; here we see the approval marks. Picture 4 shows tyre approval. The lesson to take from this is simply because a component is type approved does not mean that the system approval performance standards are achieved and it is a series of system approvals which go to make up the European Whole Vehicle Type approval. Once the manufacturer has met all the requirements they are issued with a Whole Vehicle approval number, an example is the on my Royal Enfield e11* 2002/25*1672*00 accompanying this is a whole vehicle approval certificate. Picture 10 shows the European Whole Vehicle Approval Number. This then enables the manufacturer to sell machines in unlimited quantities into the European market, with no further testing by the Approval Authority. When the machine leaves the factory, within its documentation is a certificate of conformity or COC. This is a document which certifies that the machine as supplied meets all the requirements for European Whole Vehicle Type Approval and is identical to that which was Approved. Without a certificate of conformity a machine cannot be registered and put on to the road, so you can see here is the link between the testing and the entry into service of a motorcycle. Picture 6 shows the certificate of conformity. ‘Identification of controls’. These are the symbols used to identify which switch does what, the symbols must be graphical and comply with a set size and format, words are not allowed because the machine will be sold in markets where English is not the first language and the machine must be capable of being safely operated without unintentional operation of a particular control. Pic 7 shows the control ID. A very similar subject is called ‘tell tale’. These are the warning lights which inform the rider which systems are in operation and their state, for example, lights are on driving beam, or the direction indicators are operating. Picture 9 shows ‘tell tails’. So, what has Type Approval ever done for us? 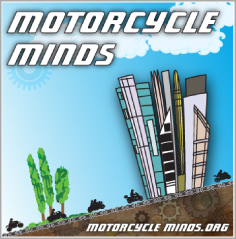 This is a very good question because according to some areas of the motorcycle press and some sections of the motorcycling world the only objective of Type Approval is to spoil everyone’s fun and is in effect a back-door tool to eradicate motorcycles from Europe’s roads. Wet braking performance standards: Those of us old enough to remember the early disc brakes fitted primarily to Japanese machines will remember that in wet conditions, the time delay involved in removing the water from the discs resulted in a disconcerting time delay from the initial brake application and the brake appearing to work.As a result of this, European motorcycle braking standards were amended to ensure that brakes had to meet a minimum performance when the discs were wet, which resulted in the elimination of the problem. Prop Stand ride away: Again back in the mists of time there was nothing to prevent a rider riding off with the prop stand down, the rider first found out about it when they came to the first left-hand bend! This resulted in many accidents. As a result European vehicle standards were amended to require some sort of system that prevented riding away with the prop stand down. There are many types of system ranging from ones which cut the engine when first gear is engaged with the prop stand down, to those which prevent engine crank, to the simple flip up type. Manufacturers would not be able to place on the European market machines fitted with brakes which do not meet these wet brake performance standards, or which enable the rider to ride off with the prop stand deployed. Picture 8 shows front disc brake and picture 5 shows the prop stand. So there you have it: a whistle stop tour of Type Approval. I hope I have given you, the reader, a fresh insight into this often misunderstood subject. It’s not all about spoiling our fun, although sometimes it seems like that. Every time we ride our bikes we are relying to a lesser or greater extent on features and systems put in place for our safety. You could just be destroying all the hard work carried out by an army of Type Approval Engineers like me.